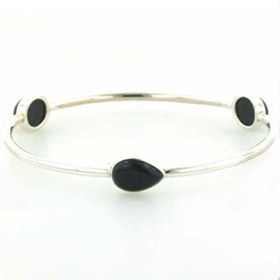 Sterling silver bangle with 3 black onyx gemstones. 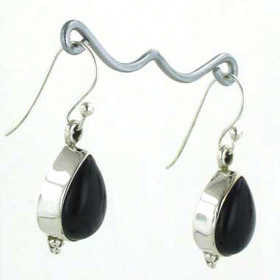 This elegant, solid silver bangle has 2 oval and 1 pear drop black onyx gemstones set into it. 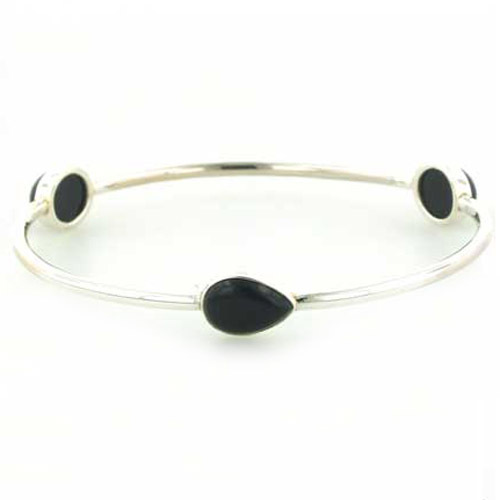 In classic black and silver, this bangle will take you anywhere and will never date. 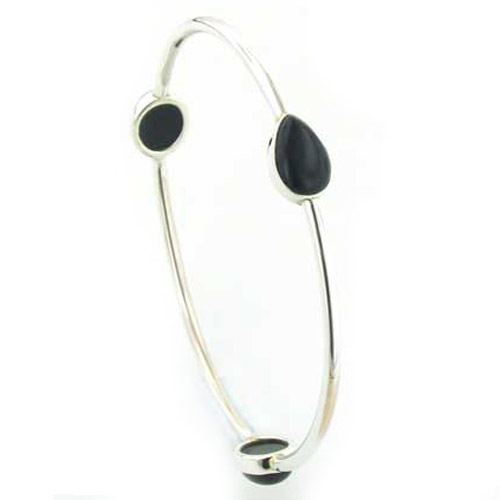 The bangle is sterling silver, rigid and substantial and simply slips over your wrist. 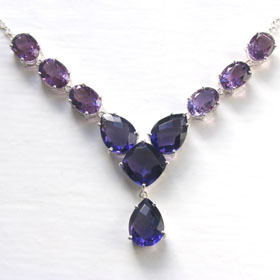 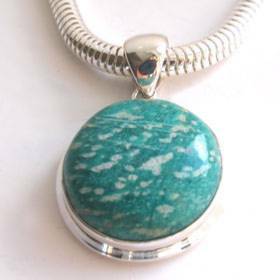 This is a great piece of jewellery to wear and makes an excellent gift. 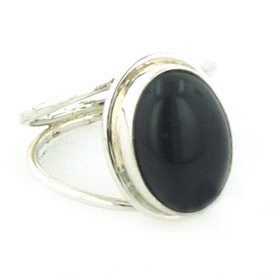 This silver bangle is a perfect accompaniment to our black onyx pendants. 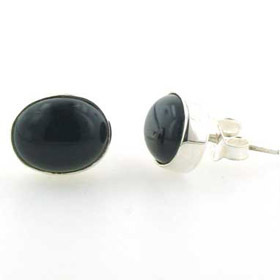 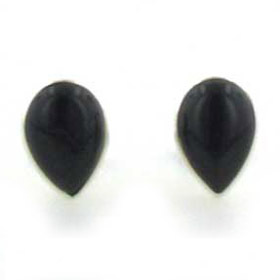 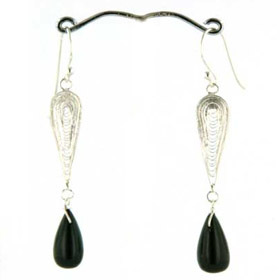 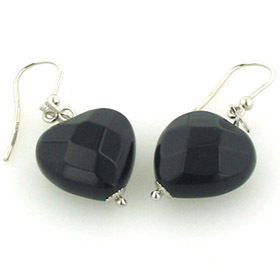 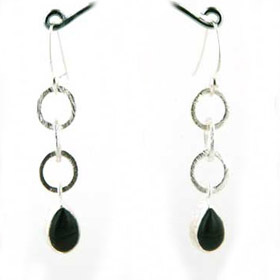 See our collection of black onyx earrings for coordinating earrings.